Once again, a demonstration from Peter Sheeler which I used for a card for my sister-in-law. Peter’s is far more masterful than mine! 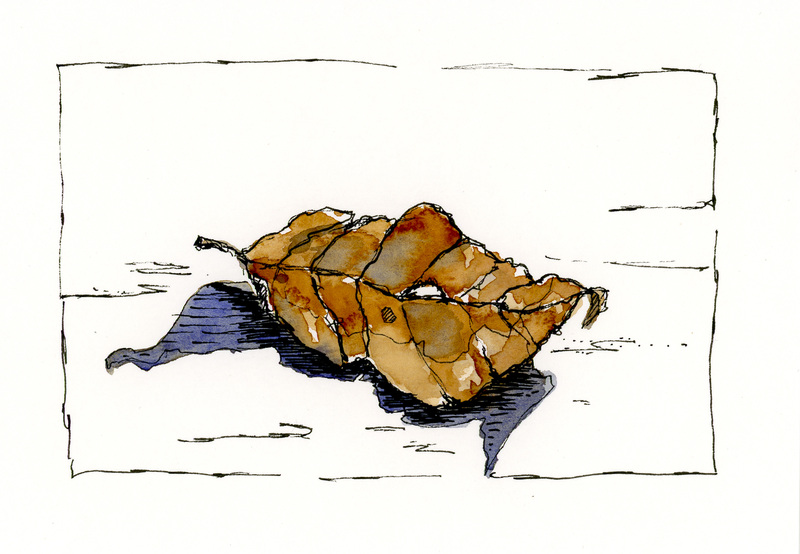 Who’d have thought a simple leaf could be so difficult? I went in afterwards and inked in some extra lines and put a frame around the picture – the leaf looks like it is floating in space.